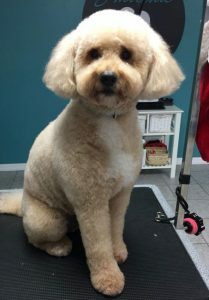 Smoochie Poochies offers a wide range of dog grooming services in a comfortable setting. 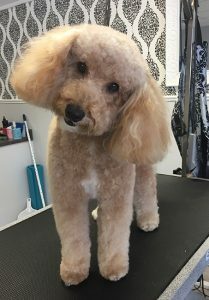 These services are provided by groomers who have experience as well as a commitment to continuing education in order to offer the best care possible. 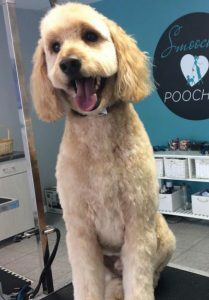 At Smoochie Poochies, we offer everything from baths to massages to keep your dog looking its best and feeling relaxed. For the safety of and comfort of your dog, we base our prices on the amount of time spent during their session. Therefore, your dog’s size, behaviour, and coat condition and density will determine the price. 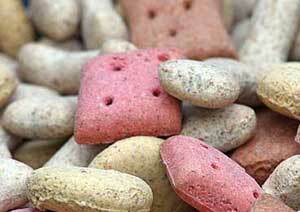 Doggie clients require current rabies, distemper, and bordetella vaccinations.